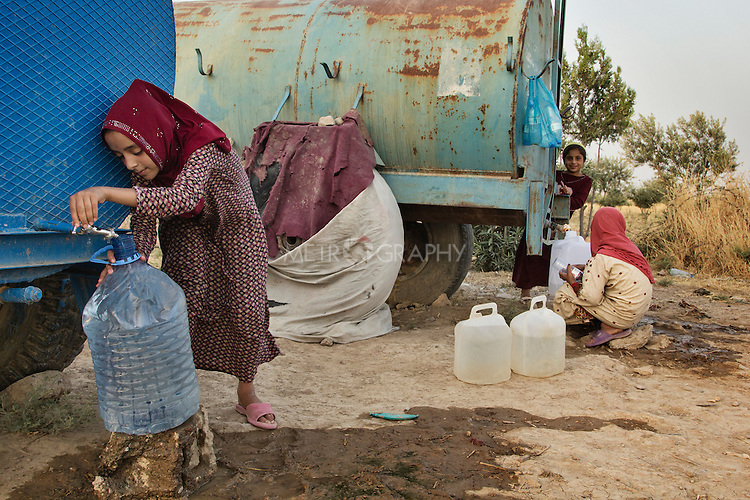 04/07/2015 -- Dibaga-Makhmur-, Iraq -- A young displaced girl from Jarallah village brings water to her home before Iftar during Ramadan at the chicken farm in Dibaga. Temperatures easily reach 50 degrees at this time of the year in this area. The owner of the farm brings water to them every week more than once depending on their needs.